After many months of fundraising and hard work by all that were involved in the Lizard Tamar appeal the new Lizard Lifeboat arrived on station, and will go into service on the 23rd July. 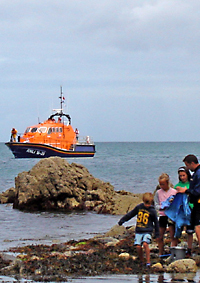 RNLIB “Rose” made a courtesy call to Coverack bay on the 16th July, and here are some pictures of here visit. The crew had spent a week in Poole familiarising themselves with the new boat and its new systems. 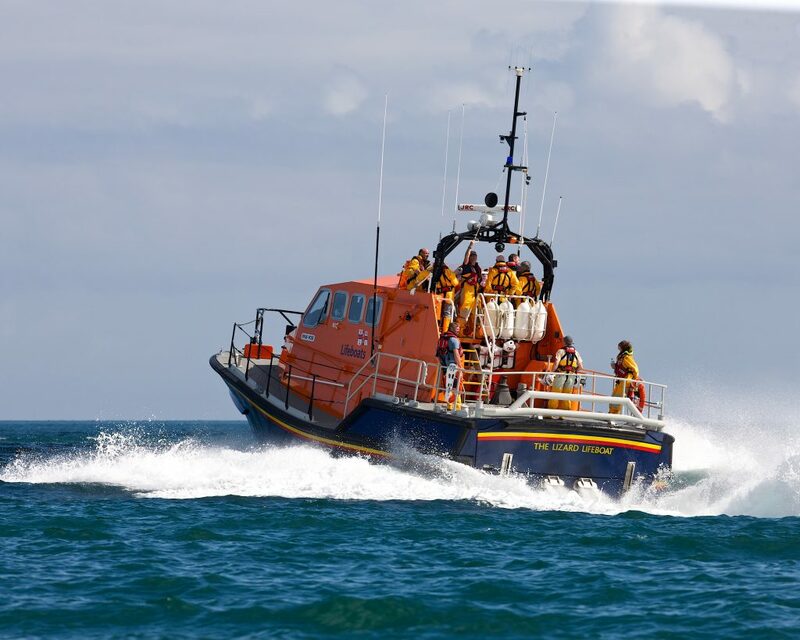 The Tamar class lifeboat is fitted with up to date navigation, radio and search equipment. A big thanks is due to all those who dontated so generously in order to make the new lifeboat possible.